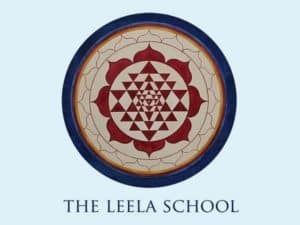 At the Leela Foundation we are committed to the whole world waking up from the personal trance of suffering, which is why we developed the Leela School. We believe that we can make a difference one heart and one mind at a time. We offer classes and training that is heart based, so whether you are interested in certification training or not, you may find immense personal value in the insights into your true nature and the nature of suffering that these courses reveal. We are not the fastest nor the cheapest training available. We do not believe that our courses are for everyone. Our approach is unique and as such we are looking for uniquely qualified individuals. Eli Jaxon-Bear and the other Leela School teachers commitment to you is that you will be trained in a compassionate and heart-based manner with the most advanced skill set for serving your clients. You will learn how to address and work with the three levels of therapeutic intervention. You will be able to help your clients on the symptom level such as dealing with phobias and negative behaviors; with ego strengthening in gaining self-confidence or dealing with fear; and, uniquely to our training, ego transcendence. Our teachers exhibit the depth and the skills that they will offer you. Our unique combination of skills and insights into the structure of ego and suffering will support you in fulfilling your highest potential as a helping professional. It is the mission of the Leela School to enhance the quality of life in the world by evoking self-realization in leaders, therapists, coaches, healers and teachers. True Friends awaken, along with their clients, to a living transmission of silence that ends all misidentification. You are the living possibility that gets passed on from heart to heart. Through the 1980’s Eli led the Clinical Hypnosis Certification Program at Esalen Institute and at the Institute Dr. Schmida in Vienna, Austria. This month long training was a synthesis of the Enneagram of Character of Fixation with Neurolinguistics and Ericksonian Hypnosis. At the time, Eli was certified as a Master Trainer in Neurolingustics and was on the Board of Examiners of the American Council of Hypnostist Examiners. Many people who went through this program are now successful therapists and teachers. After an eighteen year spiritual search, when Eli met his final teacher, in January 1990, everything changed. Papaji asked Eli to return to the world of therapy so that “both client and therapist could wake up”.